Thanks to The Coca-Cola Company for providing compensation for this blog post. All opinions are my own. Summer is so busy! And even though it's coming to an end real soon, the stress of it has not let up. In fact, most moms I know are adding to their burdens of ball games, swim lessons, and birthday parties with back to school shopping lists, curriculum choices, and lunch box planning. So, you can imagine that I turn to my favorite meal of pizza more often these days. It's just one of the Effortless Meals Pairings that I can find in the fresh section of my local Walmart! 3. Rotisserie Chicken. At less than $6 for a bird, this option lets you eat the chicken solo, or mixed into an easy recipe, like this no-cook chicken club salad! 4. Salad. Chef salad and taco salad are great options. My kids like the big bags of lettuce from the produce section, topped with deli meats and crunchy garnishes like chow mein noodles or cheese crackers. All of these meals can be easily purchased and created by shopping in your Walmart SuperCenter. 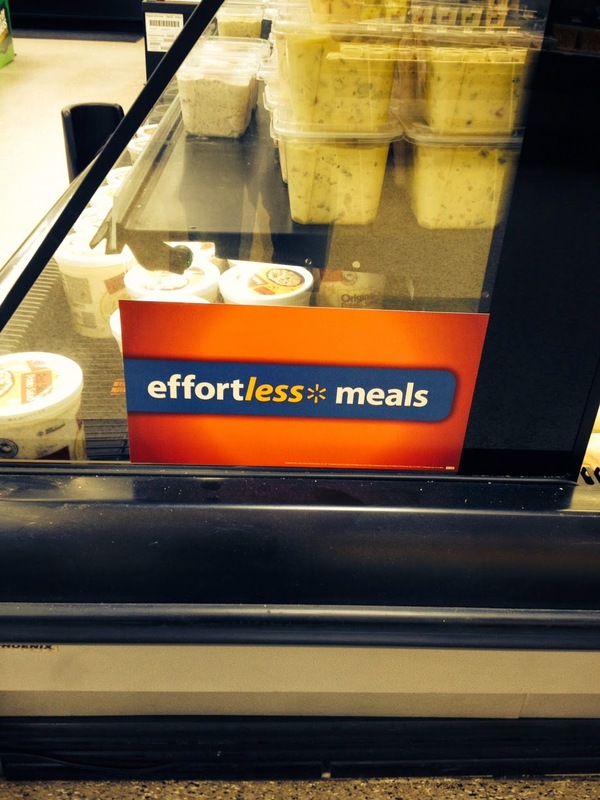 Look for the signs that read "Effortless Meals" to find ideas for main dishes, sides, and desserts. Coca-Cola has made it easy to add a bubbly drink to your meal with their products placed alongside these meal option. Pair any of these foods with a 2-liter bottle of Coke for a great meal by the pool. Wanna Win? To help you create your own Effortless Meal experience, we are giving one lucky Lille Punkin' Reader a $50 American Express Gift Card! Enter via the Rafflecopter below. Entries will be accepted until August 15th at 11:59 pm CST. Open to U.S. residents 18+. This prize was provided by The Coca-Cola Company. The Coca-Cola Company is not a sponsor, administrator or connected in any other way with this giveaway.